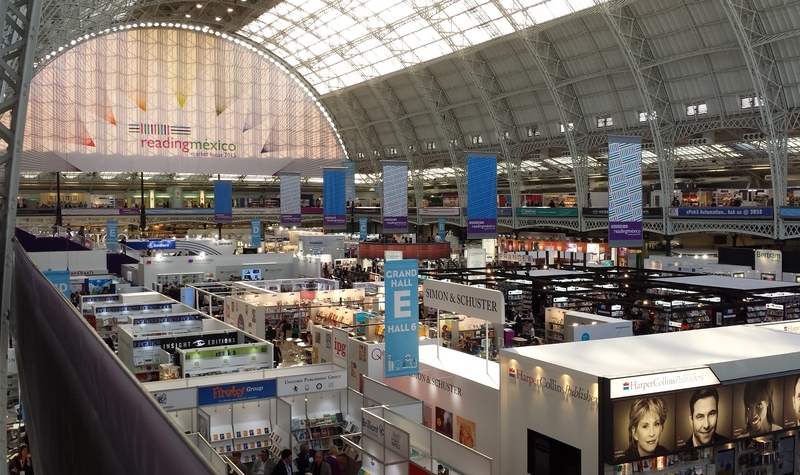 At The Bookseller this week, author Isabel Losada is blogging for us about her experiences as a writer here at London Book Fair. Not surprisingly, much of her focus is on the Author HQ program(me) with which London has led the way in attracting and welcoming authors into the big trade show’s rough-and-tumble world, beginning three years ago with Authoright’s presentation there of Author Lounge. Some small publishers offer no advances and some large publishers offer no advances, and now crowd-funding publishers offer authors the chance to become fund-raisers with the added attraction of no advances. Even the advice “Buyer Beware” has been reversed; this is “Seller Beware”. Authors were warned: “People are trying to make money from you”. But they didn’t even mean the writing. They meant the other industry of all the people who will charge to tell you what to do next. She’s right. And in author-facing conferences this year it seems — by my completely subjective count — that we’re seeing more and more such “people who will charge you to tell you what to do next” sitting on panels onstage. I think the time has come to have a few words about this. It’s my provocation for you today. And the trickiest part for me to get across to you is that there is nothing wrong with sponsorship at writers’ conferences; the question is in how we communicate those sponsorships — or don’t — to attendees. Because I don’t love being misquoted, I’m going to repeat myself: There is nothing wrong with sponsorship at writers’ conferences. If you’re a journalist, you’ll know that “It sounded like a freight train came through here” is the line you get after every major natural disaster. Hurricanes, tornadoes, and earthquakes seem to sound like something on rails to victims cornered by television camera crews and asked (why do we ask?) what it was like. At writers’ conferences, you don’t hear as much about boxcars but you can depend on hearing one line: “It’s like my head is going to explode.” The person who tells you this is normally listing to port, lugging a heavy tote bag filled with promotional literature and tchotchkes from various sponsors of the conference.